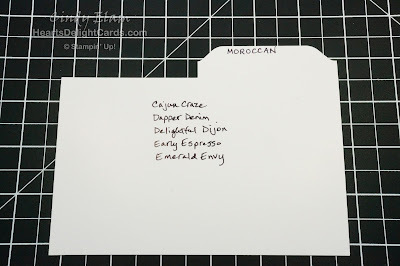 When I made the dividers for labeling the DSP in the bins, I took pictures. But then I thought "No one would be interested in this" so I didn't post them. Well, I was wrong, so I'm posting them now! Thank you, Barbara, for asking! I repurposed the thick white backing sheets that come in the DSP packs. 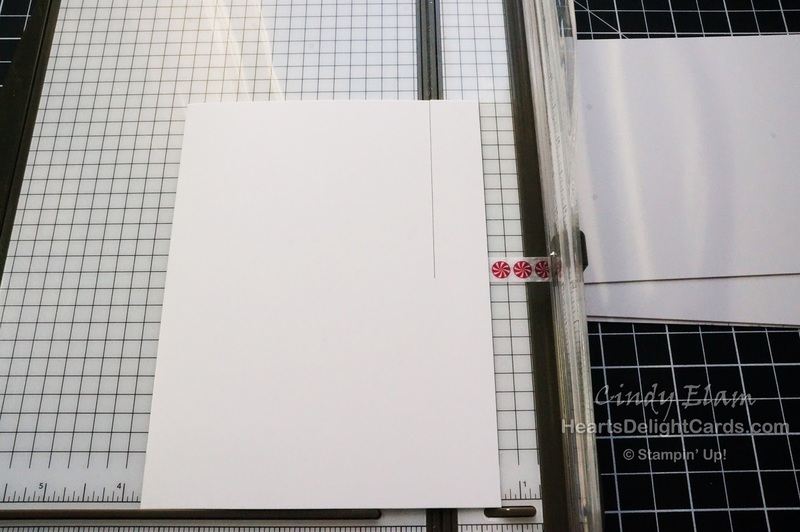 You will be able to cut four dividers (4-1/2" x 6") from each sheet. If the lettering bothers you (I didn't mind, since it would be covered), then you will get three clean dividers. 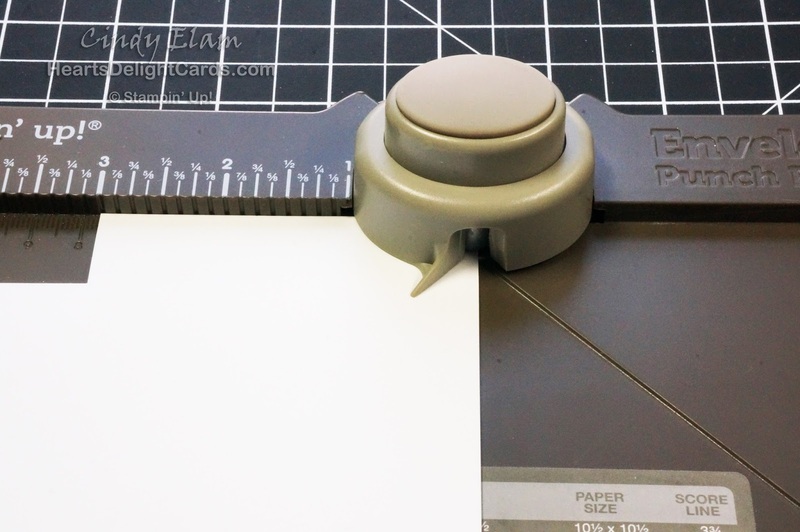 I wanted to cut 3" off the divider to make the tab, so I placed a piece of Washi tape on the Stampin' Trimmer at the spot where I wanted to stop the cut. 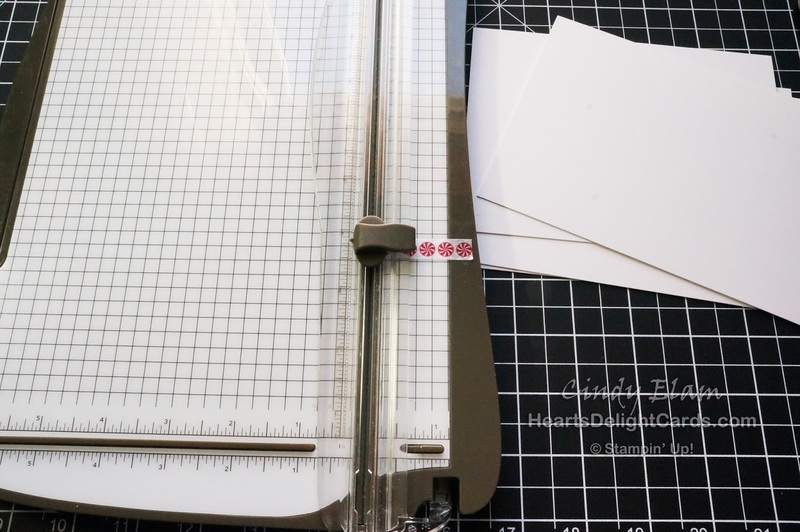 The divider was placed so the right long edge was at the 3/4" line, then I slid the cutting blade down to the Washi "stop" point. 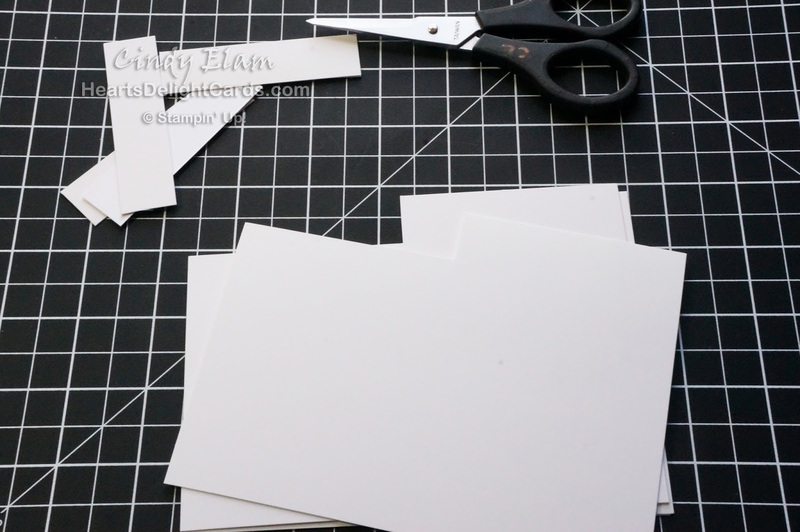 The excess was trimmed off with Paper Snips. 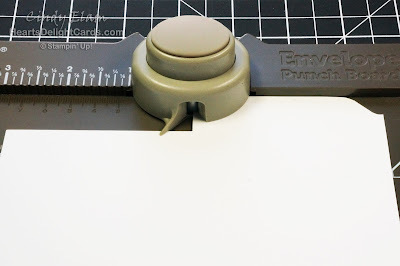 The Envelope Punch Board was used to punch the "tabs" by sliding the tab edge in to the exact middle of the punch. This was done on each side. 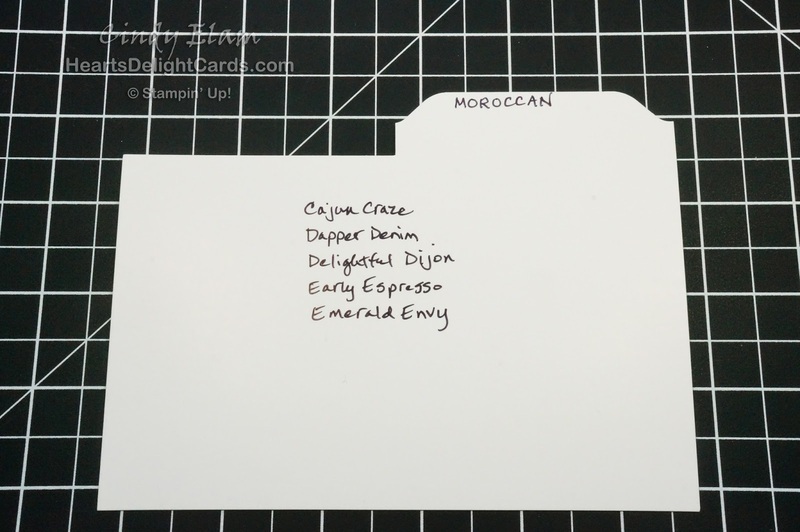 Then it was simple to label everything with a fine-tip Sharpie!